Real-time passenger information improves public transport. 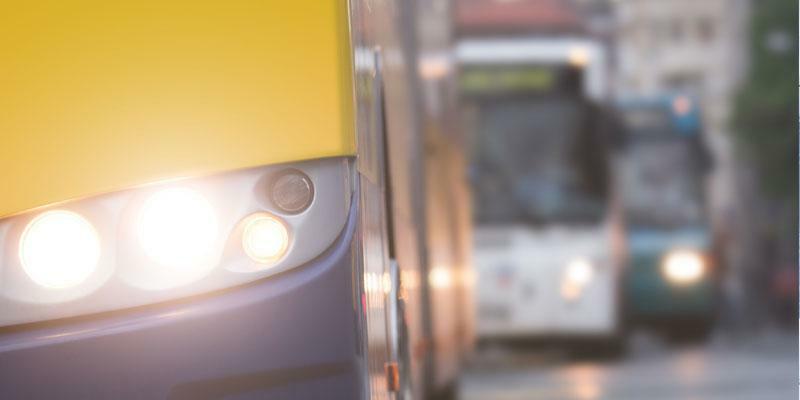 Lower ticket prices, shorter journey times and punctuality start to appeal more to people than private driving. There are at least 150 public transport information systems based on traffic telematics in Europe and the number is growing. 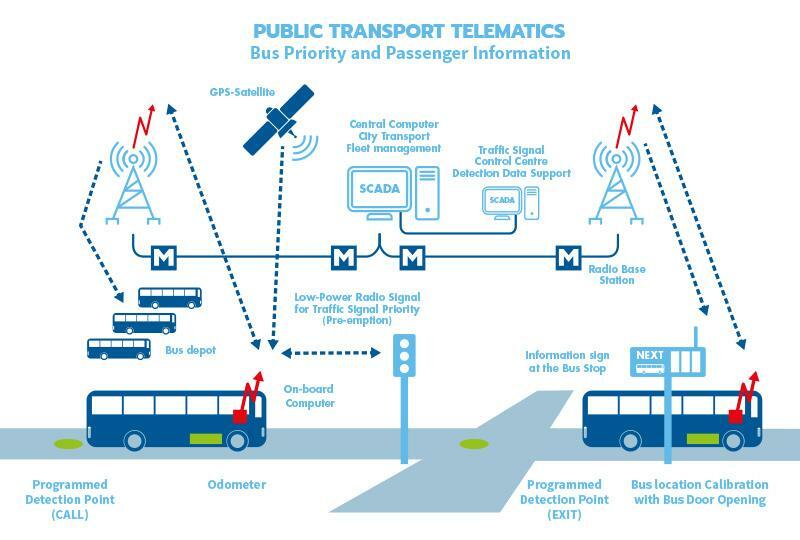 HELMI, the Public Transport Telematics System of Helsinki, has used real-time passenger information system since 1999. They started with 4 tram and 3 bus routes and have expanded the system continuously. The goal is to add all tramlines and central bus routes to the system. The completed system will have over 1800 vehicles and over 250 000 passengers using it on daily basis. The passenger information relies on the Automatic Vehicle Location (AVL) system using GPS-satellite navigation and odometer of the vehicle. A three-step procedure specifies the location. All the vehicles are polled by the central computer every tenth second. The continuous data of the exact position of each vehicle on the route is updated into a real-time database. This enables displaying the arriving vehicles to the info screens at the stops. The info screens provide real-time information about the next vehicle approaching the stop: route number, destination and waiting time in minutes. The number on the screen counts down the remaining minutes until it reaches zero. Then it starts to flash, which makes it easier to notice when the vehicle is arriving. Screens can also be used to deliver service disruption messages from fleet control room. The info screen is a couple of meters from the stop in the direction of the arriving vehicles. Strong metal cases, polycarbonate fronts and anti-graffiti coatings protect screens against vandalism. First-time passengers and tourists can easily follow the route and prepare to leave at the right stop, when they see the name of the next stop, route number and destination on the info screen. The LCD (Liquid Crystal Display) screen has yellow text on a dark background. It is installed behind the driver’s seat so it can be seen clearly from most seats. The positioning algorithm is based on the information from GPS-navigation, door openings at the stops and odometer pulses. All events from the route are preprogrammed to the computer onboard. The driver tells the system his duty number in the beginning of the shift and the system will automatically control the next stop information, request traffic light priority and send fleet control messages to the central computer. The data transfer between vehicles, traffic signal controllers, stop info screens and the central computer is based on radio messages. Six different radio frequencies handle all the communications in the system. Three base stations with different frequencies are handling all the polling of the vehicles. Fourth base station is controlling the info screens at the stops. The fifth frequency is reserved for data support and it is used to modify and upgrade system parameters during the night at bus and tram depots. The traffic light priority requests are sent over the sixth frequency direct from the vehicle to the signal controller cabinet in each junction. The requests are sent with low power to minimize the delay. All data transfer is based on open protocols and any bus sending the right message on the right frequency can get the traffic light priority from the signal controller. The communications system is easy to expand in the future.